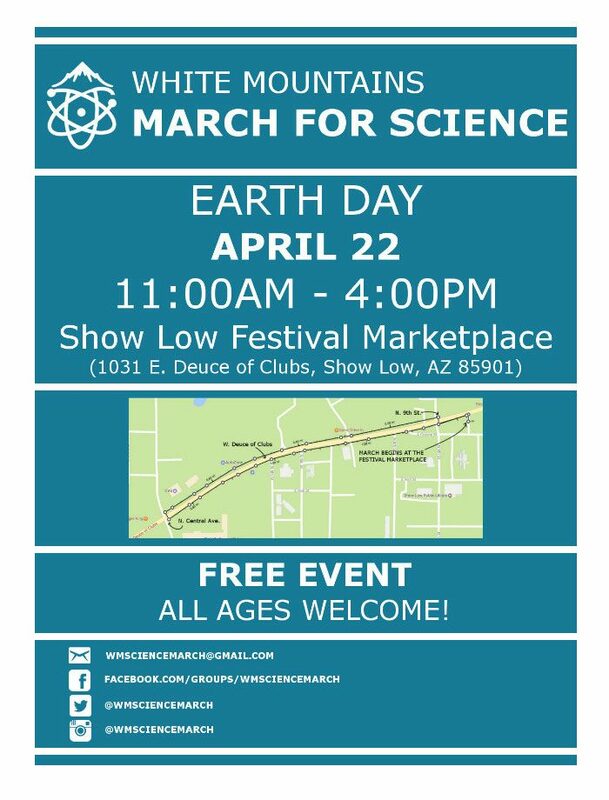 Just wanted to let you know that members of the Phoenix Lobos-Rising Packtivist Group will be joining other demonstrators in front of Senator Flake’s office on Friday April 7th from 12 to 1PM. There are lunchtime demonstrations every Friday outside of Senator Flake’s Phoenix office and every Monday outside of McCain’s office. The offices are across the street from each other. If you know of activists in the Phoenix area who would be interested in joining us, please forward the information to them. Feel free to give them my contact information. Maya and/or Donna will be posting on Facebook and an action alert will go on the Website. Stop Extinction Legislation: Arizonans Call Senator Flake today! TUCSON, Ariz.— Sen. Jeff Flake (R-Ariz.) introduced legislation today that would give the states of Arizona and New Mexico, as well as ranchers, the right to dictate the terms of Mexican gray wolf recovery, undermining the scientific standards of the Endangered Species Act. States and ranchers have proven hostile to Mexican wolf recovery and have hampered the species’ recovery. The anti-wolf bill would impose a politically derived cap on the struggling wolf population, meaning wolves would be killed to satisfy an arbitrary population number before the population is even out of peril. The bill would prohibit recovery of the wolves north of Interstate 40 — thereby permanently banning Mexican wolves from the Grand Canyon and southern Rocky Mountain ecosystems, which scientists say are critical to wolf recovery in the Southwest. The bill would also replace the Endangered Species Act’s science-based criteria for determining when the Mexican wolf could be taken off the endangered list, instead imposing criteria to be determined by the states and ranchers and precluding judicial review of this insidious change. Mexican gray wolves were reduced to just seven animals as a result of a federal program of trapping and poisoning that was only halted through the 1973 passage of the Endangered Species Act. Those seven wolves survived to be captured alive for breeding to stave off extinction. Reintroduction to the Southwest began in 1998, but numbers of wolves oscillated and declined precipitously from 2004 to 2009, when the Arizona Game and Fish Department controlled management and directed the trapping and shooting of numerous wolves, including genetically valuable animals. The population began to rise in 2010 after a conservationist lawsuit led to a resumption of federal management. Thanks to a separate conservationist lawsuit, the U.S. Fish and Wildlife Service is under court order to finalize a Mexican wolf recovery plan by Nov. 30. Arizona authorities have long opposed the release of captive wolf families into the wild, even though that is the most reliable means of bringing in more genetically diverse animals to ensure the survival of the wild population; currently, nearly all the wolves are related to each other as if they were siblings. Instead, Arizona authorities support the riskier release of neonatal wolf pups from captivity to “foster” wolf families. And in New Mexico, Gov. 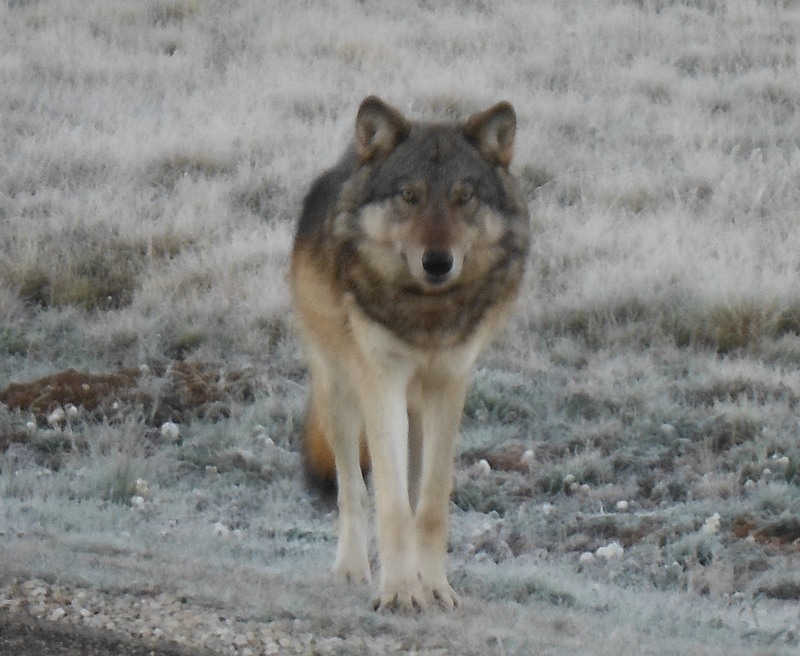 Susana Martinez’s Game and Fish Department sued the federal Fish and Wildlife Service last year and obtained an injunction banning any wolf releases in the state. The Service and conservation organizations have appealed the injunction. Republican lawmakers have had their sights set on the Endangered Species Act for years, and now see an opportunity with the Trump administration to reduce much of the law’s influence. They’ve long claimed it is a hindrance to economic development, including mining and logging. The proposed reforms would place a cap on how many species could be protected, put limits on lawsuits used to maintain protections, and allow states to have a greater leverage on the process. This landmark 1973 law has protected thousands of species over the decades and is essential to fighting back against mass extinctions caused by climate change and environmental degradation. Changes to the Endangered Species Act could potentially cause the removal of vulnerable species from the list to pave the way for development in their habitats. It could make it more difficult to add species experiencing habitat loss due to climate change. 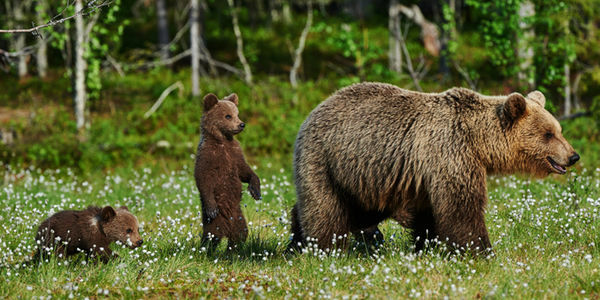 Take action now to stand in opposition to the gutting of the Endangered Species Act! FLAGSTAFF, Ariz. — A female gray wolf from the Northern Rockies traveled hundreds of miles into northern Arizona, marking the species’ first appearance in the region in more than 70 years and the farthest journey south, wildlife officials confirmed Friday. The U.S. Fish and Wildlife Service (USFWS) has released a draft proposal to change the rules governing the Mexican wolf reintroduction. 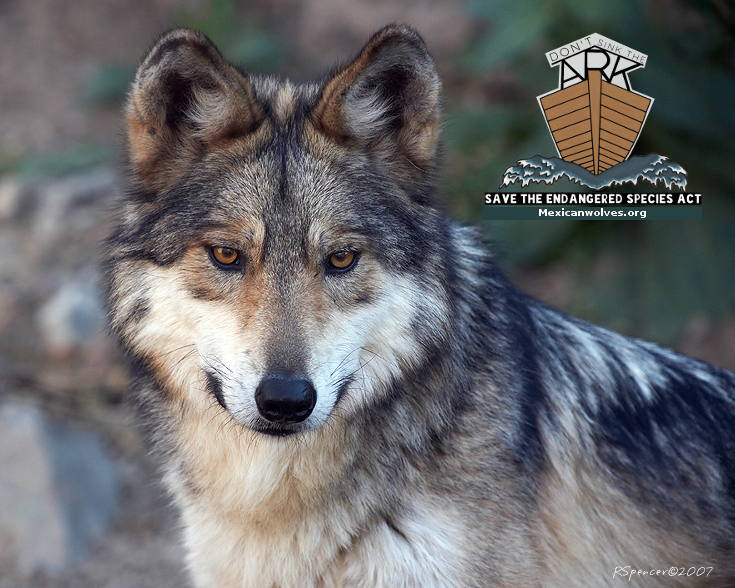 View details > Thirty-eight years after receiving protection under the Endangered Species Act, the Mexican gray wolf remains the most endangered mammal in North America and the most endangered subspecies of gray wolf in the world. Following the Mexican gray wolf listing as an endangered species in 1976, the United States and Mexico collaborated to capture all lobos remaining in the wild. This extreme measure prevented the lobos’ extinction. Five wild Mexican wolves (four males and one pregnant female) were captured alive in Mexico from 1977 to 1980 and used to start a captive breeding program. 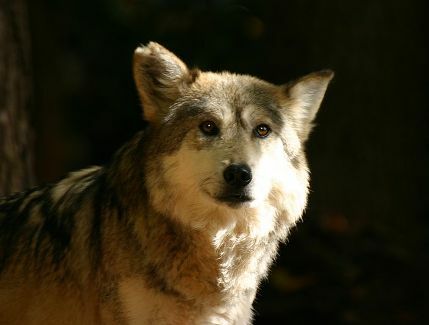 The captive population is managed for maximum genetic integrity by experts with the Mexican Wolf Species Survival Plan. The White Mountain Conservation League encourages all to speak out for wolves. This is a critical moment for them. Doomed to a slow extinction if the U.S. Fish and Wildlife’s proposal is finalized, there’s a lot at stake for Mexican gray wolves. Their last hope is for you, and people just like you, to stand between them and changes that could drive them toward extinction. 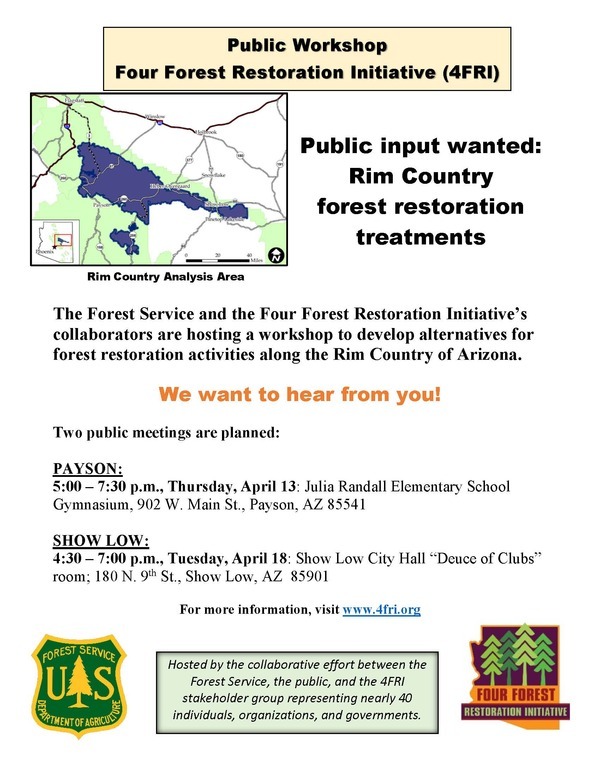 Please, RSVP to attend a public hearing before it’s too late for these amazing creatures. Over the course of two days, Mexican gray wolves will have their fate decided. On August 11th and 13th, the U.S. Fish and Wildlife Service (FWS) will hold two crucial public hearings to determine the future of Mexican gray wolves in the Southwest. There are fewer than 90 wild Mexican gray wolves in the entire world. Now, FWS is proposing to change the way the wolves are managed – changes that will determine whether the wolves recover and thrive, or die out and disappear. These wolves are doomed to a slow extinction if this proposal is finalized. Their last hope is for you, and people just like you, to stand between them and changes that could drive them toward extinction. Once you RSVP, look for another email from us about what to expect at a hearing, and talking points to use if you choose to testify. Remember, if you don’t wish to speak, you are helping the wolves just by showing up! Together, we can make a difference and save these wild wolves. P.S. Before the Pinetop Hearing, join us for the nearby Big Lake Howliday Campout, the weekend of August 8-11 – learn more about Mexican gray wolves, attend workshops on how to track wildlife with tracking experts, hike with us on the Paseo del Lobo trail and attend evening talks by wolf conservationists and biologists! Sign up for this free weekend of fun and learning! Please, RSVP to Defenders of Wildlife to attend a public hearing before it’s too late for these amazing creatures.